Each pack has 100 A4 sheet(s) of edible wafer paper (rice paper). This is our premium edible wafer paper - great for baking and printing where you don�t want your edible paper to be too thick. Each A4 sheet is approximately 0.3 mm thick. 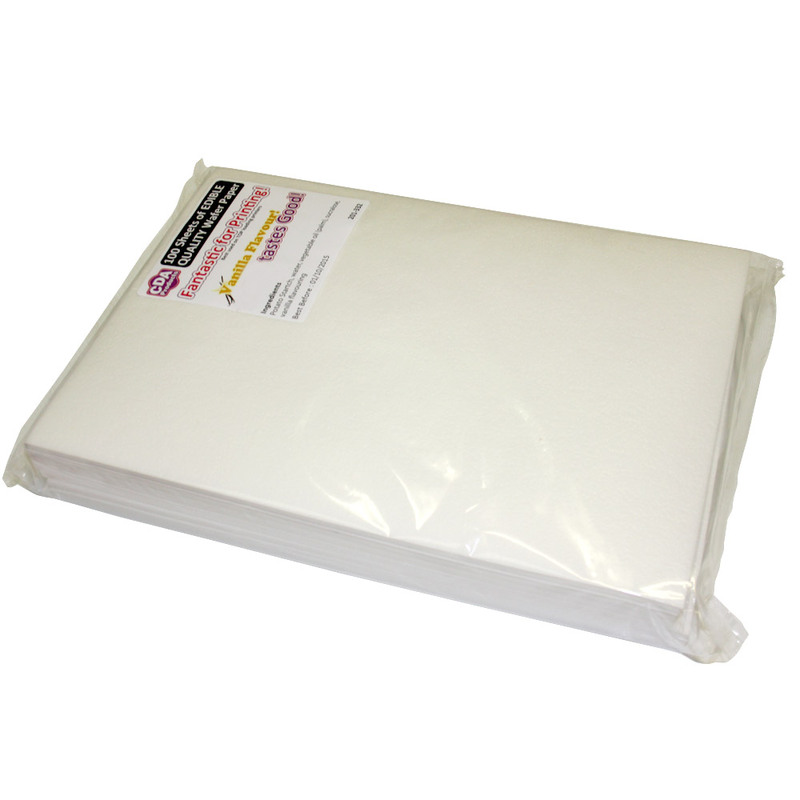 Our wafer paper is sugar free but have a lovely sweet vanilla flavour.